A cowl necked scarf is a highly-versatile accessory that keeps you warm without being bulky. It can be worn from fall until spring, and it is an easy project that requires only a minimal amount of sewing skills. Make cowl-necked sweaters that match your outerwear, or make a lighter version of the cowl necked scarf that will match an outfit that will be worn indoors. Following a general pattern for the scarf will allow lots of room for creativity. Measure around your head at the widest point and multiply this measurement by two. This will give you ample room for an elegant drape to your cowl, however you can opt to add length for a longer scarf, as well. Cut a rectangle of fabric that is 2 feet wide and as long as the measurement you decided on in Step 2. Fold the long edges down twice, creating a fold that is about 1/4 inch deep both times and pin them flat. This allows you to create a hem that is even. Sew the hem flat, removing the pins as you go. Fold the fabric in half along the width, with the good side of the fabric facing in. Pin the fabric flat so that the edges stay even. Sew the short ends together with a seam that is 1/2 inch away from the edge. Wear the cowl-necked scarf by pulling the tube over your head and allowing it to sit on your shoulders before drawing the edge at the back of your neck up over your head. Add more a elegant draping affect to the cowl-necked scarf by putting a half-twist in the fabric before sewing the final seam. Fringe the bottom of the scarf rather than hemming it for a bohemian look. 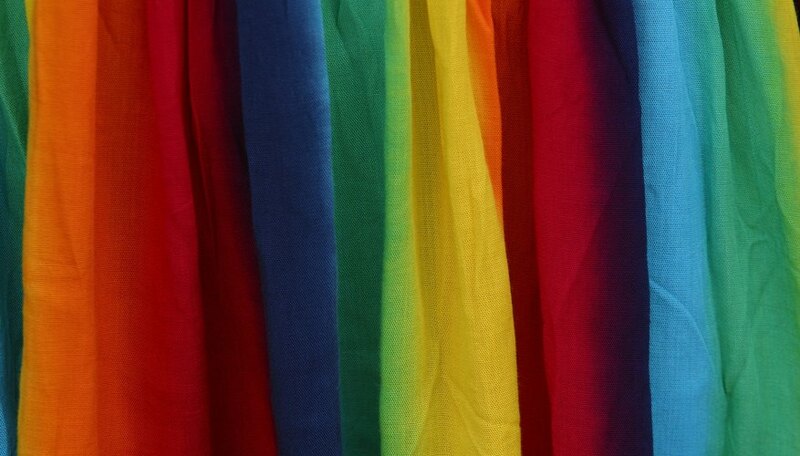 If you are using a jersey fabric or polar fleece, you do not need to hem at all as the fabric does not fray.